Genotype × environment interaction estimates the differential behavior of clones when evaluated in different environments, and it allows the identification of stable clones. 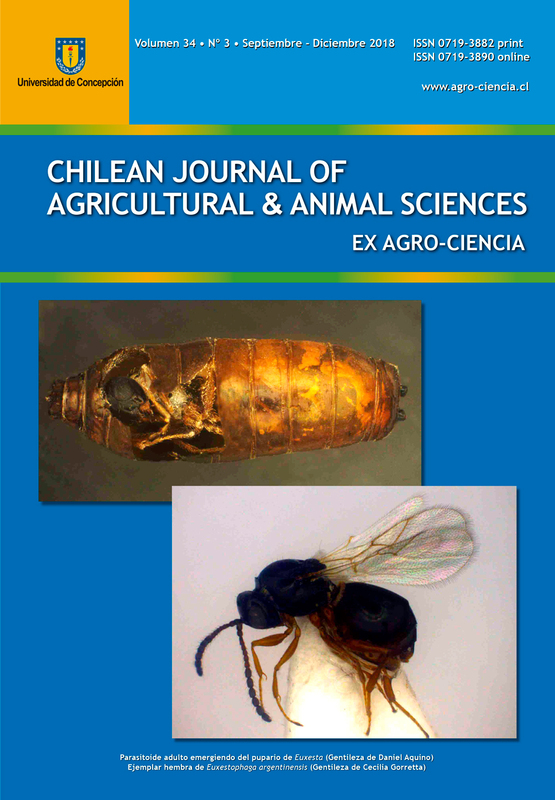 The objective of this study was to estimate the magnitude of the genotype × environment interaction for the yield of fourteen advanced potato clones with pigmented flesh and two commercial varieties (Amarilis and Canchán), in two potato growing locations in Cutervo, Peru, over a period of two years. Data were analyzed using the combined analysis of variance and additive main effects and multiplicative interaction (AMMI) model. The AMMI analysis revealed that the effect of the environment, genotype and genotype environment interaction explains 13.15%, 26.03% and 60.82% of the total sum of squares in the yield of potato tubers, respectively; therefore, the greatest contribution corresponded to the effect of the genotype × environment interaction. The first two main components were highly significant (p < 0.01) and captured 45.58% and 38.61% of the total sum of squares of the genotype-environment interaction in the yield. The biplot shows that the clones CIP302304.15, CIP302295.32 and Amarilis INIA recorded values of 980.64, 959.86 and 1001.35 g plant-1, respectively, with a higher yield compared to the average value and a low interaction with the environments evaluated, indicating greater yield stability in potato with pigmented flesh. Key words: AMMI analysis, clones, main components, stability, sum of squares.